The members of indie pop-band Shadow of Whales (SOW) were downtown this weekend interviewing local Austinite’s during the filming of their music video. “What’s your dream?” SOW asked. 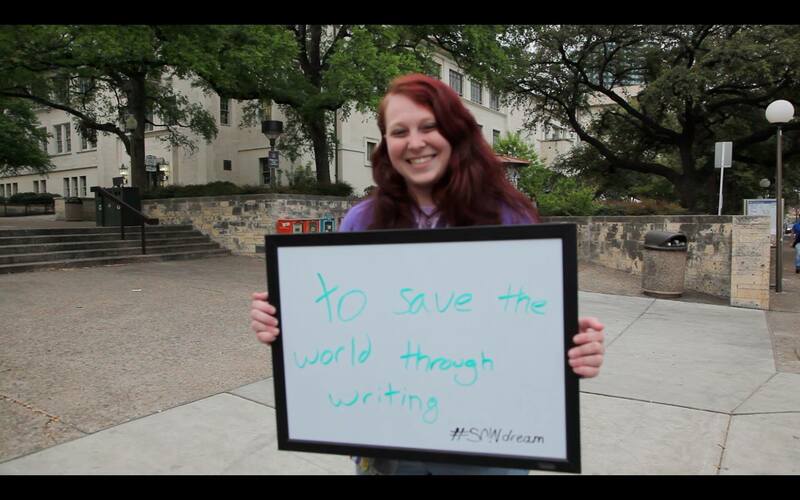 As the interviewee answered they would write their dream on a whiteboard, and hold it up to be featured in the band’s music video which will hit the internet on May 13th. More details surrounding the music video and the #SOWdream contest can be found at www.shadowofwhales.com. See their announcement video below.